Let’s face it, everyone wants to live, work and play in Americas’s Finest City. And why not? The United States Weather Bureau has described San Diego’s weather as being the most ideal in America. Plus, unlike many cities in the United States, there is an endless variety of activities to do 365 days a year outdoors. For starters there are miles of pristine beaches that are an invitation to stroll along. Plus, San Diego has over 50 fascinating museums to discover. And then there are thousands of memorable places to dine, many with romantic ocean or bay views. And where to live offers residents a broad choice of oceanfront and ocean view homes and apartments to penthouse views the ocean as well as comfortable suburbia with the best schools for educating your children. San Diego has a booming visitor industry. So newcomers looking for employment have an excellent opportunity of finding a job in this sector. So getting an entry level job in tourism is where entry level people relocating to San Diego often get their first job! This vibrant, mainstay San Diego industry offers excellent positions in management as well as San Diego has a year around demand in tourism with a booming convention industry to compliment the vacation traveler for year around jobs. 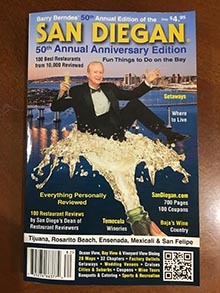 giving tourism a further boast, is a recent article in the National Geographic Traveler Magazine selected San Diego as being one of only three U.S. cities in the world as “must visit destinations for 2016”. The others were Hawaii and New York City. So Tourism is BOOMING IN SAN DIEGO. With Qualcomm Stadium for football, Petco Park for major league Baseball and Valley View Casino for indoor events at the San Diego Sports Arena these are well known international brand enjoyed by three of San Diego’s homegrown industries: cell phones, pet food and casinos. So looking for jobs in the cell phone industry offers high paying jobs as Qualcomm has a business campus just like Google, Microsoft and Apple does as these international industries hire 1,000’s of people. And don’t overlook employment in the Casino industry, which San Diego happens to be the Indian Casino Capital of the world. These Las Vegas Style Casinos hire, chefs, cashiers, marketing directors, card dealers, golf pros, grounds keepers and more. Plus, they are where most of the top entertainers perform. And many offer overnight accommodations. So there are positions for hotel management, housekeeping and its many services. Tied into where to live are numerous positions for being a realtor and top realtors can make great commissions for selling multimillion homes in the affluent areas of San Diego county. And with San Diego being where everyone wants to live the real estate industry is health and strong. Then many newcomers opt to rent or lease before they relocate so as a result San Diego is blessed with an almost endless array of apartments and condos to choose from. Thus, there are always job openings for leasing agents and maintenance people. And the health of any city is measured by its growth and sprawling San Diego County is home to vibrant communities as urban sprawl is a way of life here in San Diego. And the farsighted city fathers have extended the San Diego zip codes to extend 15 miles from the downtown city administration offices. So while suburbs may have names like Rancho Bernardo or Scripps Ranch, they are within the city limits. Thus, the economic base of the city is vibrant and strong. 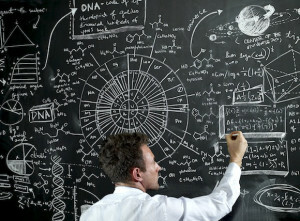 Thus, there are many job opportunities in the public sector especially in the field of education. As San Diego boasts good education for all of its citizens. Likewise, San Diego County, which is the southwestern most locale in the golden State of California borders Mexico. And as a result, San Diego’s border crossing is the most active border crossing in the United States as streams of Mexican citizens cross the border daily to shop, dine and enjoy the best of San Diego. Thus, San Diego County is home to awesome shopping centers including Las Americas Factory Outlet Center, which is the largest Outlet Center on the West Coast of the United States. But it is joined by Carlsbad Premium Outlets in Carlsbad, Viejas Factory Outlet Center at the Viejas Indian Casino and smaller outlet centers in Mission Vally, Clairemont, and San Ysidro. 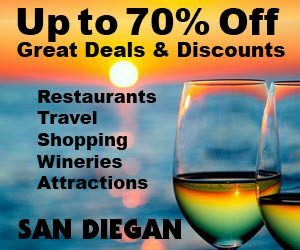 Plus, a vibrant city like San Diego is also home to the most impressive non outlet shopping centers in the United States thus offering wonderful job opportunities in management and sales working at the top who’s who in department stores with well known names such as Nordstrom, Macy’s and Sears. Another major employer are the dozens of Home Depot and Lowe’s as well as Ikea, which are stand along shopping centers and not to be overlooked are the TONS of Costco locations. Costco, if you didn’t know it, was originally named the Price Club, and had its beginning as still another homegrown success. San Diego is also blessed with some of the finest colleges and universities in the state and nation. Thus, there are positions available in the field of higher learning as universities are always vying for talented educators. And it would be remiss not to encourage people relocating to San Diego not to look for positions in the health industry, which is always begging for more nurses and doctors to keep the citizens of our wonderful city in good health. Leaders in the health sector include Kaiser Permanete with it’s far flung strategically located doctor’s offices and hospitals, UCSD Medical facilities and of course Mercy hospital as well as the many smaller regional hospitals. And still another growth sector comes from the latino population in Mexico coming to San Diego for medical treatment. So the Health Industry is yet another huge sector always looking for employees. San Diego with it’s beautiful natural harbor is also home to the largest Naval and Military Installation in the world. Yes, in the entire world! So San Diego is home to major aircraft carriers that deploy to the south pacific and is thus home to thousands of navy, marines and to the coast guard. However, unlike other military bases in far flung areas of the world, San Diego’s military is meshed into the landscape and embraced by its citizens. And until newcomers become accumulated into the milieu of the city you may not even notice that the military has a presence in the city other than seeing a big aircraft carrier moored across the bay at Coronado. And it is often said that San Diego is a very entrepreneurial city, which is referring to the fact that many newcomers come to San Diego to reestablish their business here in San Diego. And this often happens when a person comes to San Diego for a vacation and falls in love with San Diego and decides to relocate here. Or become board after retiring here in San Diego and decide to do what the did elsewhere here. Success stories abound of newcomers coming to San Diego to retire, becoming bored and recreating their former business all over again in San Diego and thus make San Diego a better place, because of it. One person is Richard Walker, San Diego’s Breakfast King, who has two outstanding breakfast locations in Chicago, but came here to retire. He got board and added two locations here, which are excellent. Both Elisha Babcock and H. I. Storey retired to San Diego for health reasons back in the 1880’s, but they got board and so they put a syndicate together and build the stunning, world famous Hotel Del Coronado, a must see Victorian Hotel on the seashore, and the rest is history. San Diego is often selected as one of the top 10 places to live in America and for good reason: San Diego is home to an awesome lifestyle, which residents will say is second to none. Others will tell you that the thought of never having to endure another cold winter motivated them to take a leap of faith that they would find a wonderful job in America’s finest city to live in. And if, by chance, you are not married, you’ll likely meet a wonderful person and be like many others before you who found everything they ever wanted in paradise — also known as San Diego. As a health care organization in the 21st century, we have a mission – to provide quality care for our members and their families, and to contribute to the well-being of our communities. The confidential information provided by you will be kept confidential and only passed on to our builder and realtor affiliates. In turn we will send you an autographed complimentary copy of the current edition of the SAN DIEGAN. Will you also need employment assistance? If so fill out the field below. Region of San Diego you wish to reside in?